Stock # 1S81758, Regular Unleaded V-8 6.2 L/379, Automatic, 5 mi. 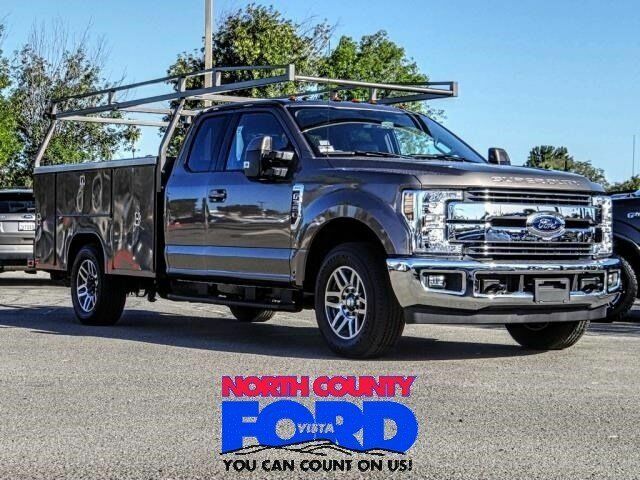 Stone Gray 2018 Ford F-350SD Lariat RWD TorqShift 6-Speed Automatic 6.2L V8 EFI SOHC 16V Flex Fuel F-350 SuperDuty Lariat, 6.2L V8 EFI SOHC 16V Flex Fuel, TorqShift 6-Speed Automatic, RWD, Stone Gray, Ebony Leather, ABS brakes, Alloy wheels, Compass, Electronic Stability Control, Front dual zone A/C, Heated door mirrors, Illuminated entry, Low tire pressure warning, Remote keyless entry, Traction control. Price includes dealer added accessories.